This Planetbox Bottle Booster fits snug inside the PlanetBox carry bag bottle pocket to provide a complete lunch kit. Easy to drink spout, 18/8 food grade stainless steel & vacuum insulated for up to 12 hours. Blue. 550ml. New bottle style with enclosed stainless steel base. Blue lid also fits 330ml Planetbox Bottle Rocket. Bottle: 18/8 stainless steel / Spout & spout seal: food-grade silicone rubber / Cap & base: recyclable polypropylene cap and base / 23cm tall x 7cm wide (widest point). 550ml capacity. I was specifically after a non plastic, no straw, insulated drink bottle for my kids aged 4 and 2. I hesitated for a long time before I decided to give these a go. I'm so glad that I did. My kids have been drinking so so much more water since having these, both at home and when we are out. Being insulted has meant they can be in the car in the heat for awhile but the water has still been cool for the kids. My two year old has had no trouble working out the lid clip once we showed him and they both love the bottles. If the lid is not closed and clipped and the bottle is tipped over they will spill but we have found the benefits far outweigh this. I have actually liked the top/spout so much I am going to buy one for myself. I got pink and blue, not sure why the blue was more expensive ??? ?‍♀️ as they are the exact same bottle. It Really Is A Fantastic Water Bottle! We love this bottle so much we purchased a second one. The design is flawless, you can actually see the difference in size between the interior and exterior walls which illustrates the insulation. We throw a handful of ice in the mornings and it actually keeps the water cold all day. My seven year old loves the bottle and hasn't had any problems with is weight or size. The lid and spout are great, easy to clean and good quality. 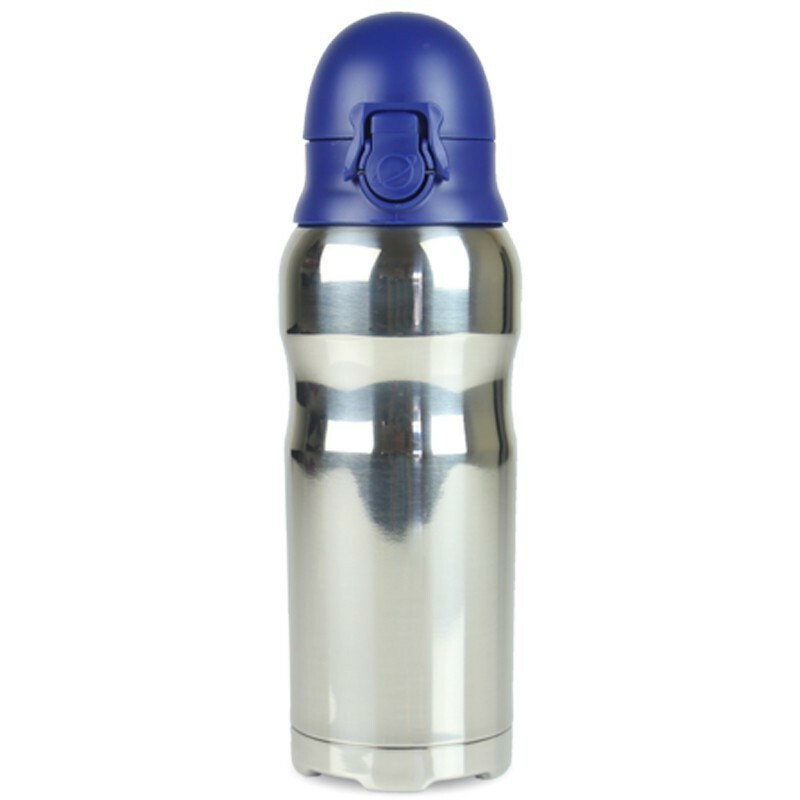 It's a sturdy bottle that gets used daily for school, Aikido and sports classes. This bottle has overall appeal with all its features. Love the 550ml size - just right. Not too heavy when full even for a 6 y.o. Keeps water icy for hours. Sturdy even with the knocks and bumps it goes through (everyday) Great snap lock lid. Fantastic silicone spout which allows for natural drinking action/flow rather than sucking or squeezing water out etc... Easy to clean, no smells. No leaks! I've tried so many other bottles - with straws, plastic, stainless steel, screw on, snap on and so on.....this is the best bottle I have tried so far. Most of all my kids love it and find it easy to use even though it has a two step dual lock function to prevent lid accidentally opening whilst the bottle tumbles around in the school bag. I have Planetbox lunch boxes and accessories too for the last 5 years and I am very impressed with this new water bottle.